Condition: Excellent; Not New with 1 pinpoint small pen mark on bottom inside- otherwise very very light interior overall soiling inside; No damage or odors or missing parts. 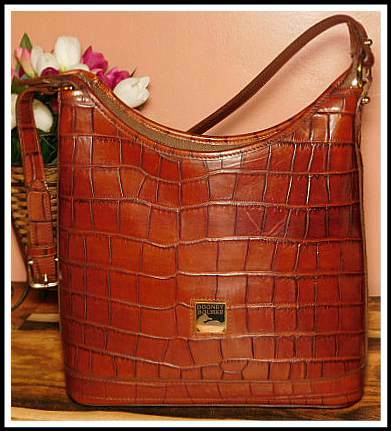 Hobo Bag: H 10.5" by L 10" by W 3.5"
Shoulder Strap drop length 11.5" up to 15.3"
Genuine Pure, vegetable-tanned calfskin leather imprinted with an authentic Alligator pattern and finished with a hand-rubbed natural dye giving it this lovely realistic appearance. 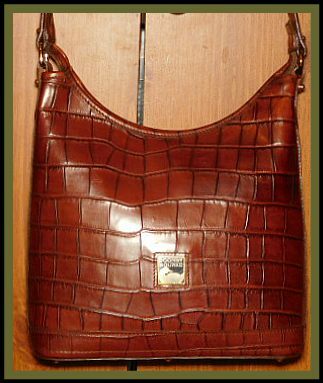 Jo's Note: "Show off your sophisticated style when you wear this Bayou Hobo Bag. A real treasure retaining 95% or more of its original shape. Exquisite and stunning!"